Batu Deck Tiles. Naturally Durable Real Wood. Batu Deck Tiles. Convenient 24" x 24" Size. Batu Deck Tiles. Stained with ExoShield Natural. Place Directly on Concrete or Pedestal Mount. 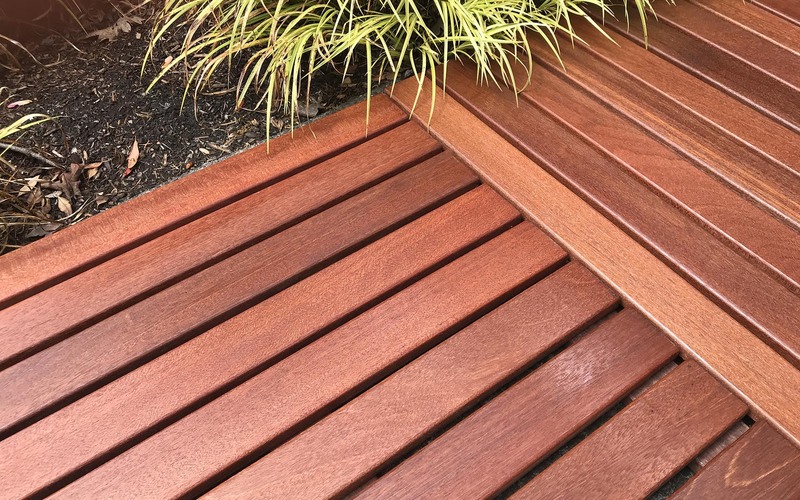 The ExoTile Interlocking Wood Deck Tile is the luxurious new decking product transforming outdoor living spaces across North America. 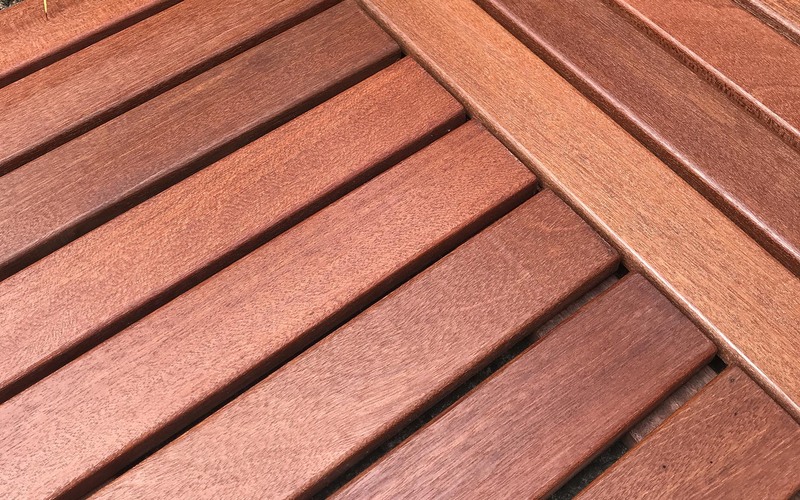 Nova is proud to now offer Nova Batu and Nova Ipe Deck Tiles, which use the same remarkably high quality hardwoods as our residential and commercial decking products. 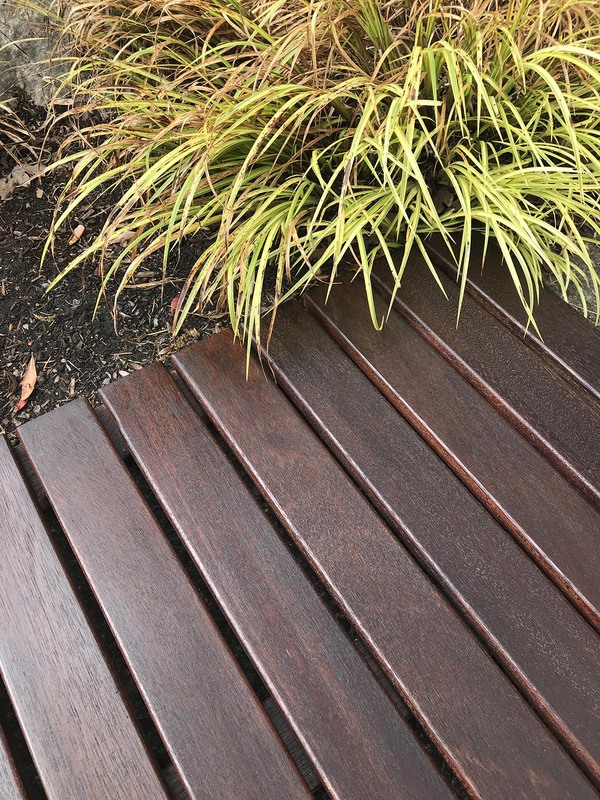 Our wood deck tiles have increasingly grown in popularity and have become the premium outdoor flooring solution. 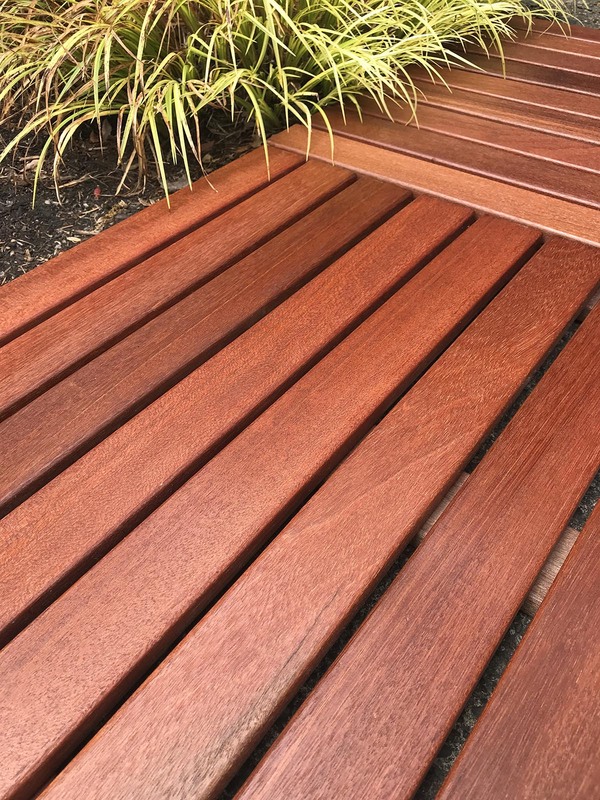 ExoTile Wood Deck Tiles allows owners of homes, apartments, condominiums and townhouses to add a sense of relaxed luxury and style to any outdoor living space. Rooftop decks can be crafted into beautiful and relaxing outdoor gardens in the sky. Condominium living space is expanded and your balcony can be transformed from a steel and concrete jungle into an urban oasis. 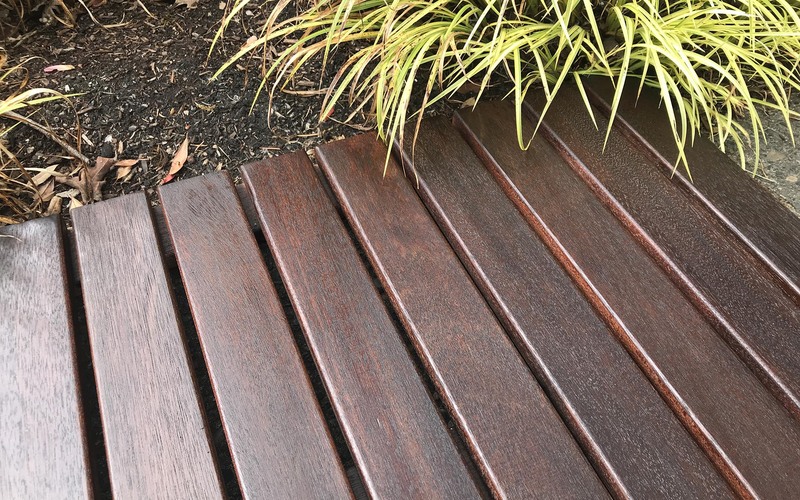 With ExoTile wood deck tiles nothing is attached or affixed to the walls, floors or railings of your condo, townhome, ground-level patio, or rooftop space. The open profile of the ExoTile allows air to circulate around the entire tile while water, dust and small debris fall through the deck boards and wash away underneath, leaving your floor surface clean, dry and fresh. Because glue, grout and nails are not needed for installation, condo and HOA / strata rules are no longer a problem! Our beautiful hand-crafted Batu and Ipe wooden deck tiles give you the ultimate elegant outdoor living experience. ExoTiles are highly versatile, have the ability to create patterns, are quick to install, can be utilized on pre existing structures, and can be easily uninstalled or moved to a new location. Nova carries 24”x24” Wood Deck Tiles in both Batu and Ipe, in the same material and grade as our renowned high quality exterior decking line. Each wooden deck tile features nine nominal 1x3 pieces running parallel to one-another. The bottom support of the deck tile is formed using an additional 3 pieces of matching hardwood. Two support pieces run along the outside edges of the tile perpendicular to the top pieces with a third support board running down the center of the tile also perpendicular to the top pieces. This structure creates a supported wood deck tile with no sag. Moreover, all our wood deck tiles are assembled with stainless steel fasteners for long term durability. Ipe and Batu Wood Deck tiles can easily transform any flat surface into a gorgeous living space. One of the things that makes Deck Tiles unique is that they can often be installed directly on top of a pre-existing flat surface such as a cement patio or balcony. By laying them parallel to one another or perpendicular to each other you can create a variety of looks using the same types of tiles. In addition, you can mix and match the Batu and Ipe Deck Tiles for a beautiful contrast of color. This “place-on-top” style of installation allows for an easier install for homeowners and families looking for a weekend project that will bring warmth and beauty to their living space. In addition, it allows the user to have a beautiful hardwood deck on top of a patio without building the framework. Deck Tiles are a game changer for those who rent their properties or homes because they are easy to both install and un-install and can be taken to a new location when needed. This means that the landlord won’t have to worry about the leftover structure and the renter won’t have to lose out on their beautiful investment! Nova’s outdoor wood deck tiles are 100% compatible with the DeckWise pedestal support system and interlocking snap together tile clips. Cutting the Deck Tiles is actually more simple than it looks. To cut perpendicular across the tile, begin by unscrewing the center support beam featured on the bottom of the tile. Now you can make your perpendicular cut. After sawing the desired amount off, remove the outer-support from the side that you won’t be using. You can now install that outer-support on the new edge of the cut piece. Once this has been done, take the center support beam and re-install it in the center of the freshly cut Deck Tile. Now you have a custom sized tile! When cutting parallel to the top boards on the tile, remove the center support from the bottom of the deck tile. This should leave you with a ready-to-cut tile. Next, cut the tile at your desired width. Now you can re-install the center support accordingly. If there is no longer enough room to install the center support, you can forgo this process. However, we recommend re-installing the center support so long as it fits into the center of the freshly cut tile. Now you have a custom sized tile!